Starting a garden shouldn’t cost you an arm and a leg, but quite the opposite: it should SAVE you money, and that’s where this homemade potting soil recipe comes in! Learn how to make your own potting soil, give your garden the best and most organic elements, and save money all at once! Potting soil can become very expensive, especially if you’re growing more than one crop, so this homemade potting soil will change the way you garden! Using the right potting soil is one of those gardening secrets that everyone knows and no one talks about! Grabbing any kind of soil to plant your fruits or veggies isn’t going to work in the long run, so having the RIGHT soil can make all the difference! What’s really really great about making your own potting soil though is that you can customize it in a pinch for different kinds of plants! While some plants may need a little extra nitrogen in their soil for example, others may not, and by making your own potting soil, you can change that! 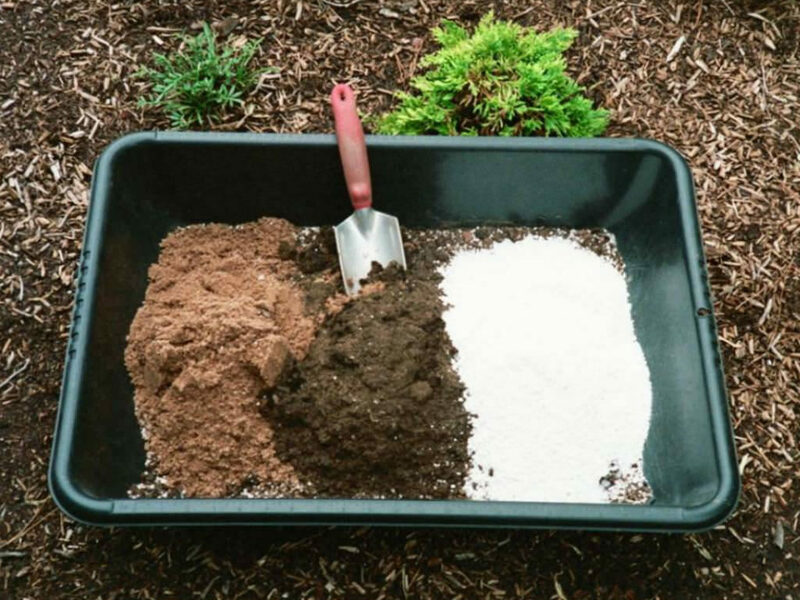 Here are some things you should keep in mind before making your potting soil. When it comes to potting mix, the lighter the better! Loose and porous mixtures are easier to move when in pots, but most importantly, they carry water, air, and fertilizer easier & quicker to plant roots. 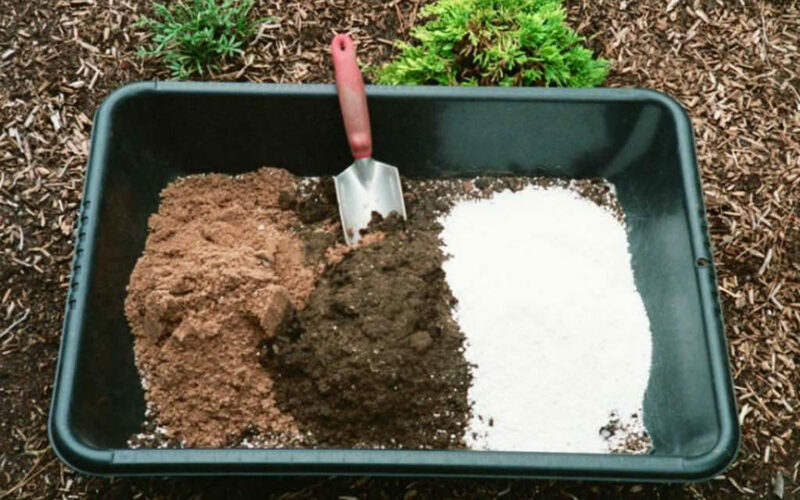 The perfect potting mix is made up of peat moss, vermiculite or perlite sand, and shredded bark or compost, and NO soil or garden dirt. Check out the recipe below and change it to your plants’ preferences. Add soil sulfur to lower the pH or lime to raise the pH. For plants that need rapid drainage, such as succulents and lavender, add more sand to the soil. For ferns and woodland flowers that need moist conditions, simply add more peat moss for water retention. Mix all of the above until thoroughly combined. This recipe will make about two 14-inch tubs or five 12-inch hanging baskets. How Much Mix Do You Need? Potting mix is usually sold by volume and measured in quarts, and most pots are measured by their diameter. Use the reference table below to translate quarts of mix into different pot sizes. Homemade Potting Soil – How to Make Your Own Potting Soil was last modified: January 30th, 2018 by Aniela M.
How can this be possible… vermiculite is the cancer causing insulation that is costing a fortune to remove from attics through Canada. While vermiculite IS also used for insulation, it’s also a natural mineral that’s used as a moisture-retentive medium for growing plants and is perfectly safe.